You're just too good to be true I can't keep my eyes off Du. . HD Wallpaper and background images in the Damon & Elena club tagged: the vampire diaries damon salvatore elena gilbert delena. 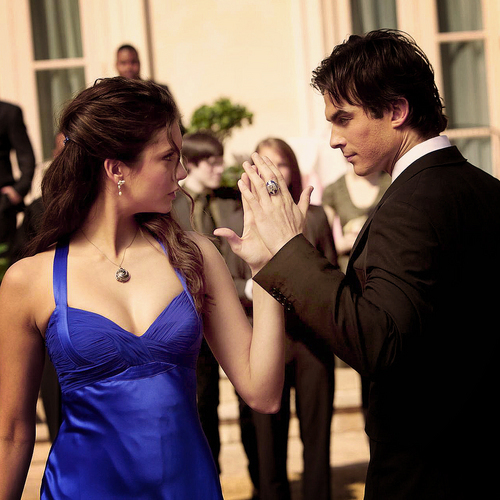 This Damon & Elena photo might contain geschäftsanzug, business-anzug, brautjungfer, and trauzeugin.